Catering for Companies offers a complete range of modern catering company. For parties and celebrations, incentives or events, backstage or set-catering, the classic party or a noble champagne reception. The AS - Management Team provides the catering for Companies in a wide range of culinary delights, drinks and a colorful variety of special-making facilities. Whether barbecues, Crew, tradeshow, backstage or location catering, meetings, conferences, seminars and conferences, we will provide you the desired Company catering to each of your occasions together individually. Vegetarians and Muslims are also supplied with special dishes. 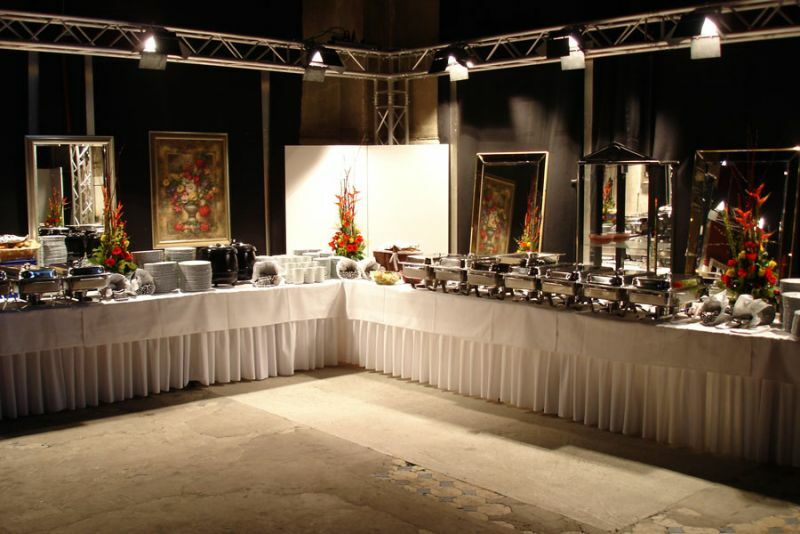 Upon request, our catering service creates decorative buffet stands a coordinated image between occasion and catering. If required, of course, care a renowned and dedicated team of staff to the service and decoration, so that everything blends to your satisfaction. 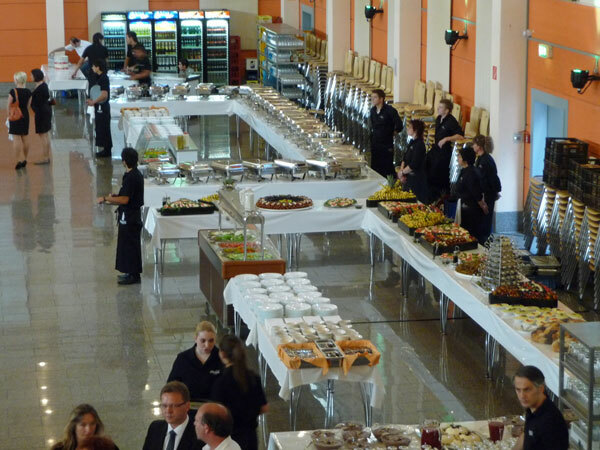 Let us advise you to benefit from our many years of experience in corporate catering in NRW. Our delivery area includes the entire Ruhr and Rhine-Westphalia. Especially the cities:: Essen, Bochum, Gelsenkirchen, Herne, Recklinghausen, Wattenscheid, Velbert, Heiligenhaus, Ratingen, Düsseldorf, Mettmann, Hattingen, Gladbeck, Marl, Bottrop, Oberhausen, Mülheim a.d.R., Duisburg, Dortmund, Neuss und Köln. Of course, we provide for larger events in the whole of Germany. The exhibition cities of Dusseldorf, Dortmund, Essen, Cologne and Hanover are our most popular cities in Germany supplied.